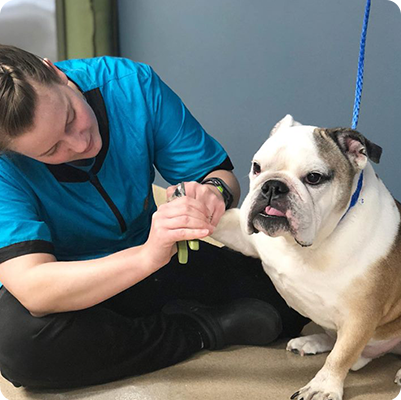 Best Pretty Grooming in Indianapolis, paws down. Nothing makes a dog feel like royalty like a good grooming. 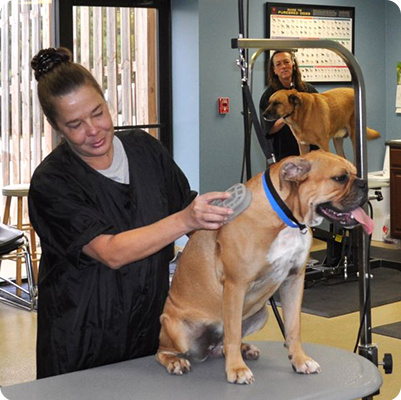 We offer a full range of dog grooming services, all delivered with the friendly touches that make Barkefellers your dog’s favorite place to go. 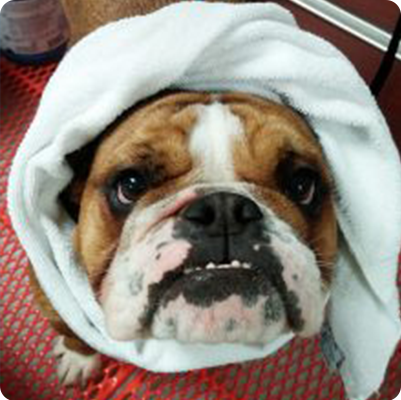 From our walk-in showers to our air-temperature dryers, we have thought of every detail to make your dog’s grooming experience a pleasant one. 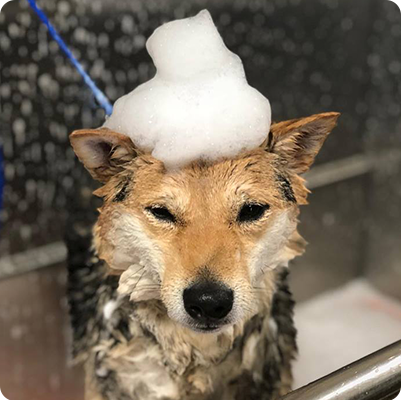 Whether it’s a simple nail trim, a sudsy bath, or a complete groom, Barkefellers will leave your dog feeling special, inside and out. Custom Cut: a sudsy bath, blow dry, thorough brush out, ear cleaning, toe nail trim, and a stylized haircut to your specifications. Spa Bath: a relaxing wash with hydrating shampoo, thorough brush out, ear cleaning, toe nail trim, bandana, and cologne. Express Bath: a soothing departure bath, quick blow dry, and brushing. 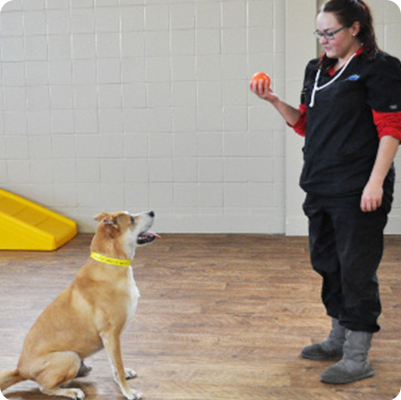 Ready to get your pet groomed?